Sorry to disappoint, but the affable Vice President Joe Biden is the latest politician who will not be taking the ALS "Ice Bucket Challenge." Biden was challenged by fictional VP Julia Louis-Dreyfus, who plays the vice president on the HBO comedy series Veep. 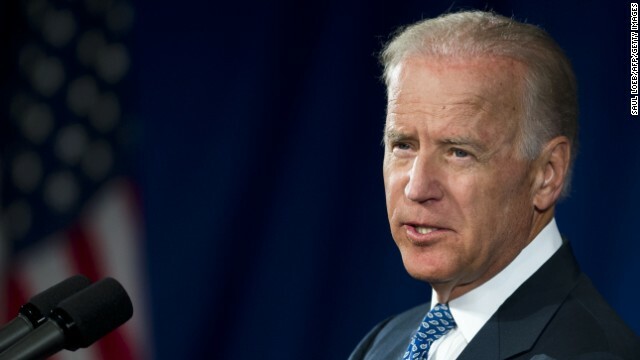 (CNN) - Vice President Joe Biden sat down with a Cuban media outlet - a significant move given the decades-long tension between the United States and Cuba since the countries ended diplomatic relations more than 50 years ago. In the interview published Tuesday, Biden cited the detention of Alan Gross, an American jailed in Cuba, as a key obstacle in improving relations. 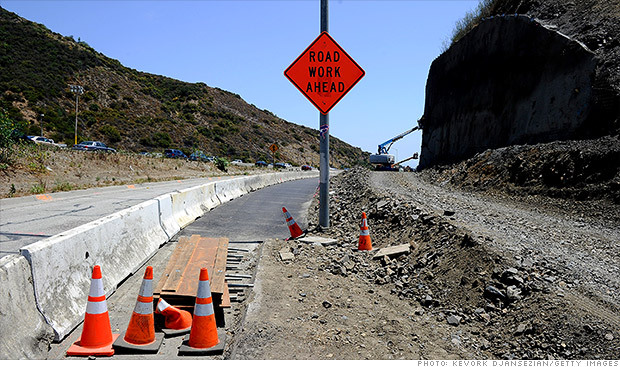 Washington (CNN) – President Barack Obama turns his attention this week to the state of America’s roads and bridges as the clock ticks toward a funding gap on infrastructure projects nationwide. The White House said Sunday that Obama and his deputies would spent multiple days this week calling on Congress to pass a bill to improve the country’s crumbling infrastructure before existing funding runs out at the end of this summer. Washington (CNN) - It's not so noteworthy for Vice President Joe Biden to stop by a social reception. But what was noteworthy about the one he attended Wednesday evening was its audience – full of Iowans. 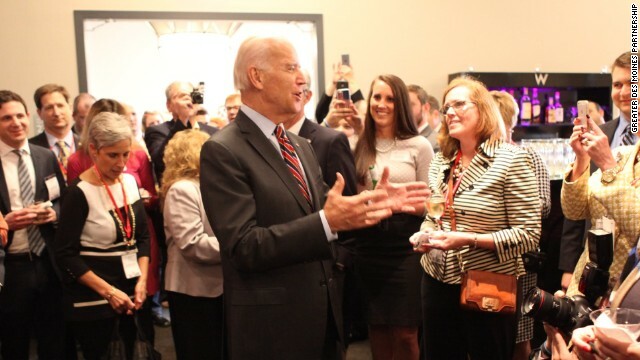 Biden stopped by a party at a Washington hotel for a group of 195 Iowans from the Greater Des Moines Partnership – a group aimed at promoting economic development in Des Moines. The group of Iowans are on a three-day trip to the nation's capital to help spur job creation in Des Moines and lobby Congress. Ad for aviators or Joe Biden's Instagram account? (CNN) - The vice president has joined the world of filter-obsessed smartphone photographers on the popular photo-sharing site Instagram. Joe Biden's Instagram account posted its first picture on Wednesday - displaying the vice president's signature eyewear in the foreground and a studious Biden reading what may be an important White House memo, blurred in the background. 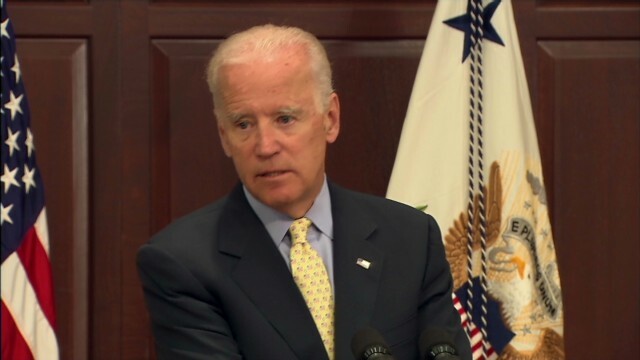 (CNN) – Honoring victims of last year’s bombing near the finish line of the Boston Marathon, Vice President Joe Biden said Tuesday the terrorists who carried out the act could never claim victory over America’s ideals. “You will send a resounding message around the world - not just around the world but to the terrorists – that we will never yield. We will never cower. America will never ever stand down,” Biden told survivors of the 2013 attack, which left three people dead and scores more injured. 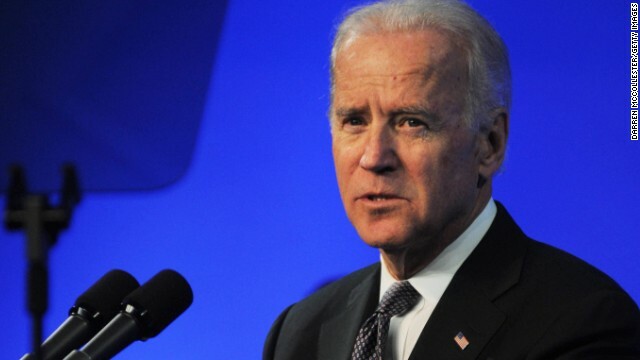 (CNN) - Vice President Joe Biden will deliver the commence address next month at the University of South Carolina. 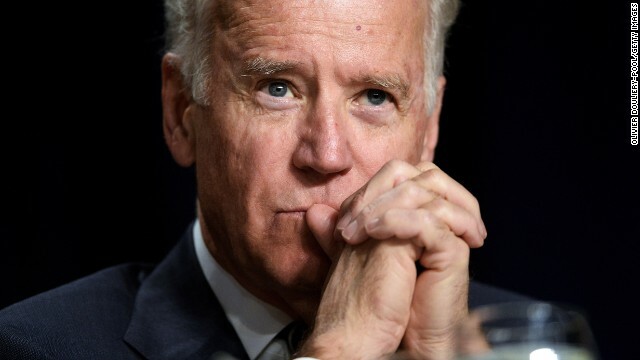 The Vice President's speech at the May 9th ceremony, announced Wednesday by the school, is sure to spark more speculation about a Biden bid for the White House in 2016, as South Carolina holds the first southern contest in the presidential primary and caucus calendar.